I was just wondering about buying an established van from eBay or one of the other sites. First of all it seems a little strange to me that people try to sell vans with promises like, I will give you all my contacts for the events and you will easily book them or you will have no problem getting into the events with this van by just applying to the festivals. My big question is, Why don't they book all of the events themselves if it is so easy and then sell the van as a real established business(going concern). Surely they would be able to sell the van for much more money? I know that I would pay a lot more knowing that the events are already booked. I don't know why but I'm having real trouble finding a van that is really established ( After all of my investigations it seems to me that any van that is for sale for less than £15,000 and is claiming to be an established business generating good income is misleading. 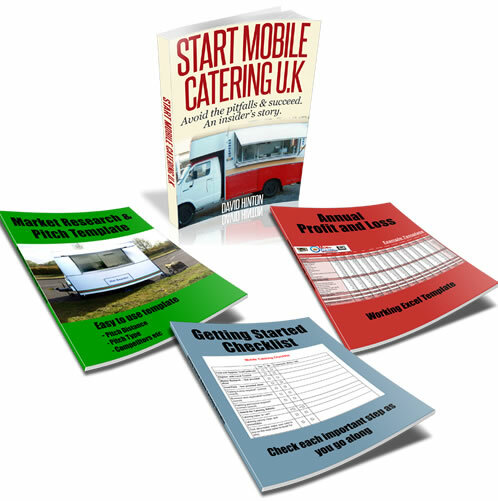 I have come to understand that a person has to pay £20,000 + to buy a van that is really established and making a good net profit(at least £20,000 per year after costs)Would love to get some feedback on this. Hi, You must be very careful. Some people have no conscience. Few years ago I came across a trailer for sale in a well established market. They have been there for years and seemed to doing well. I was excited and was going to go for it. When I mentioned to some people I found out that the market was up for sale so it would be worth only a very old trailer that has not been removed for years.They were asking over £28000 for something that was not worth more than £1500. They seemed friendly and nice. I was lucky as I spoke to people about it. Also one should know that If it is somewhere where a license is involved you have to reapply under your name etc which may not be approved. Also there may be new developments that would not allow it to operate. Talk to lots of people. Ask the officials about renewals/ change of details etc. I can only advise that if you buy any business that is already established it’s up to you to do the due diligence and make sure that what the seller is advertising is true and trustworthy. Some sellers will make up details, making it appear more attractive than they should to get a response from the advertisement, thus sometimes their motives may not always be trustworthy. But saying that many sellers do have a genuine reason for selling their business, but you should always verify what they are telling you independently to minimise any risk. - Ask to see their accounts and profit and loss sheet. - Confirm with the local authority that they have legal right to trade and that they are not being asked to move off the pitch. - Also, confirm that if a contract exists it gives the seller the right to sell the business on. Some council pitches have a waiting list and the seller is not permitted to sell or transfer to someone else. Finally, as long as you take care, don’t rush in and do all the background checks, you will significantly reduce or avoid losing any investment.